There aren’t many industries where owners have to be as multi-disciplinary as in farming. Today’s farmer is forced to wear many “hats”…..
One major role that isn’t often talked about is being an Asset Allocator. The reason I’m writing on this topic today is that I recently had a discussion with one of my good friends (and ex-colleague). He leads a private investment fund for the personal wealth of one of the country’s most successful asset allocators, Howard Marks of Oaktree Capital Management. Mr. Marks is worth over $1.5 billion today primarily because he’s been very good at “buying when everyone is crying”. He has a great book (Amazon link) on investing that I recommend reading this winter (hopefully on a beach somewhere sipping Mai Tia’s!). It was so good, I read it from front to back in one day a couple years ago. This advice is great and I definitely subscribe to this philosophy but we only know the correct decision when it is viewed in hindsight. Hindsight is 20/20! 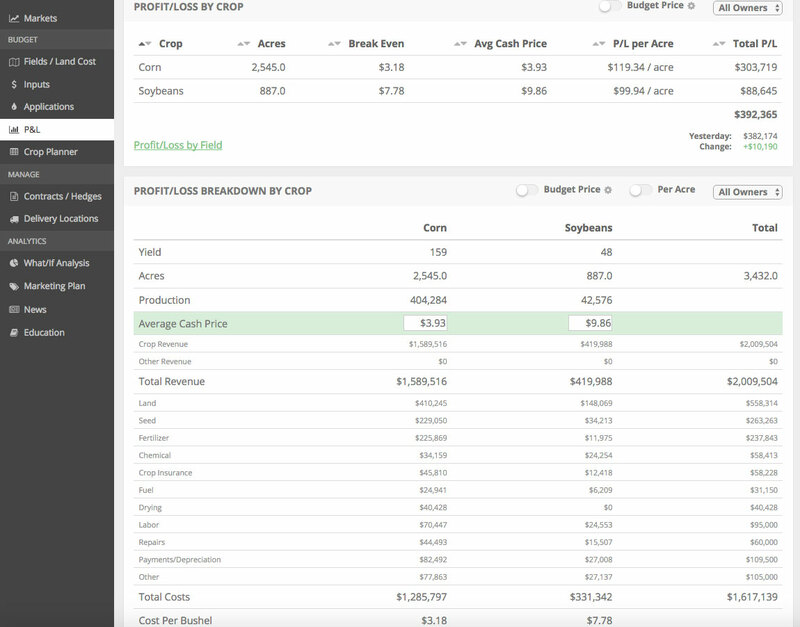 I think farmers should look at applying an additional "decision layer” to their asset allocation decisions. When participating in board meetings while I worked at ShoreView Industries (a successful Minneapolis-based private equity firm), one of the most common discussions we had was around capital expenditures. These decisions were carefully planned out with the goal of optimizing the productivity of each business. I can tell you what wasn’t discussed, “We had a great year! Lets get our taxable income down as low as possible. Buy, buy buy!”. CapEx was well planned. I think farmers should apply the same structured thinking to their asset allocation. It obviously doesn’t make sense to pay a burdensome amount of taxes. But we need to realize that during times of increased profitability, the farm-related assets you buy are likely inflated in price. Instead of basing CapEx decisions around profitability and tax avoidance, let’s look at them with the goal of maximizing the farm’s productivity. With that in mind, we’re working on a new tool to aid in this process. We’re going to apply structure to asset allocation decisions (specifically CapEx) by applying them to a Gantt chart. Gantt charts are typically used in project management to ensure timely completion of a project (that’s the goal anyways!). We can use this structure to plot out the following information on your equipment. Two valuable data points would come out of this. The goal of this analysis is to allow you to conduct scenario analysis around different equipment acquisition strategies (eg. lease vs. buy, etc) and timing. If you have a plan for when to make purchases of certain equipment, you can study the equipment market thoroughly and try to find the best deal possible. Food for thought at this point! Any plan is better then no plan, farm equipment decisions included. If you like content like this, sign up for our free email newsletter below.